Rachel Harrison: Expanded or Abandoned Field? Rachel Harrison, Pablo Escobar, 2010, on display at the Art Institute of Chicago. In mid-July, I had the pleasure of visiting Chicago for the first time. We arrived in the middle of a mid-west heat wave, which was not all that conducive for sightseeing, but terrific weather to explore the magnificent collections of the Art Institute of Chicago. The Art Institute is such a wonderful institution; I could have spent all day amongst their extraordinary collection of European modernism, not to mention their superb selection of pre-War American paintings. One work I was particularly pleased to see was Rachel Harrison’s Pablo Escobar 2010. This is a fine piece, and Harrison is an artist that I very much admire; coming across it on the second floor was a very welcome surprise. Rachel Harrison, Pablo Escobar, 2010 (with detail of plastic chilli peppers). Like many of Harrison’s best works, Pablo Escobar balances the gravitas of conceptual abstraction with an appealing playfulness and humor. The kitchy plastic peppers and garish Latino palette, are the perfect foil for the work’s faux-modernist angularity. Unfortunately, the curators have placed the work at the end of a roped off corridor, meaning that it is impossible to view Pablo Escobar in the round. 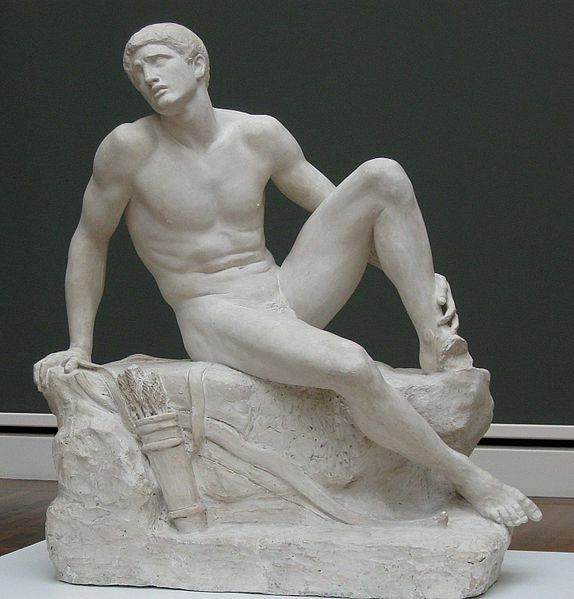 This situation would be problematic for almost any piece of modern or contemporary sculpture; but the difficulties are particularly acute in the case of Harrison’s work. Rachel Harrison, Utopia, 2002, Carnegie Museum of Art, Pittsburgh. In Pittsburgh, we are fortunate to have an equally excellent example of Harrison’s work: Utopia 2002, currently on display as part of the spectacularly re-hung Scaife Galleries. In November 2002, Utopia was reproduced on the cover of Artforum magazine. Set against a crisp white background, the peak of Harrison’s hospital-green polystyrene menhir rises through the centre of the page. Like most photographic reproductions of the work, its is photographed so that the small porcelain figurine that rests upon a ledge of this monolith is seen from behind, casting an inevitable comparison to the famous rückenfigur of Caspar David Friedrich’s Wanderer Above the Sea of Fog 1818. Like Friedrich’s wanderer, the figure appears absorbed in his environment, contemplating the pallid summit that soars above him. Artforum, November 2002, and Caspar David Friedrich, Wanderer Above the Sea of Fog, 1818, Kunsthalle Hamburg, Hamburg, Germany. The coherence of this photographic image is somewhat different to the physical experience of the work in space. For a start, in order to photograph the porcelain figure from behind, the photograph elides the presence of a second ledge, upon which sits a small geological specimen of metallic encrusted rock. 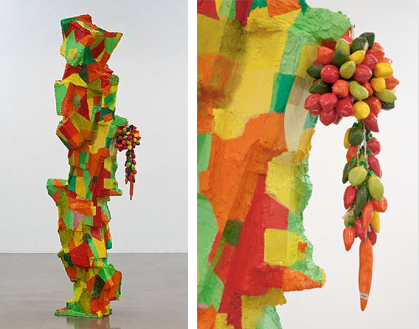 Rachel Harrison, Valid Like Salad, 2012 and All in the Family, 2012 (installation image from the exhibition The Help, Green Naftali Gallery, New York, 2012). 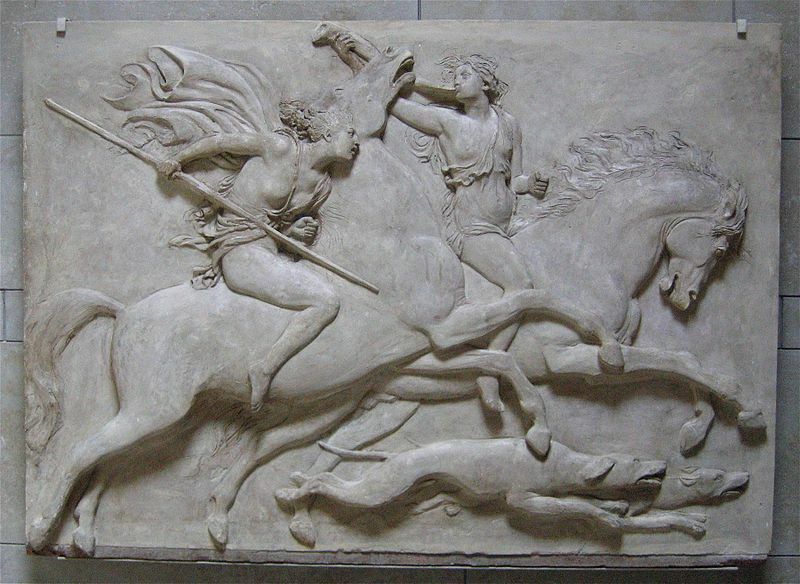 Over a century earlier, this question of looking and comprehending the world similarly preoccupied the German sculptor and theorist Adolf von Hildebrand. According to Hildebrand, our relation to the external world is based upon our perception of its spatial attributes. As a result, he concludes, we must consider our perception of space and form as “the most important facts in our conception of the reality of things.” For Hildebrand, the perception of form is not immediately given in visual perception, rather, it is grasped through the combination of visual and kinaesthetic modes of perception, the two modes combining to supply the material for our imagination of three-dimensional forms. For Hildebrand, this is an “impure” understanding, requiring a combination of experiential components. The role of the artist is to unify these components into a purely visual form. 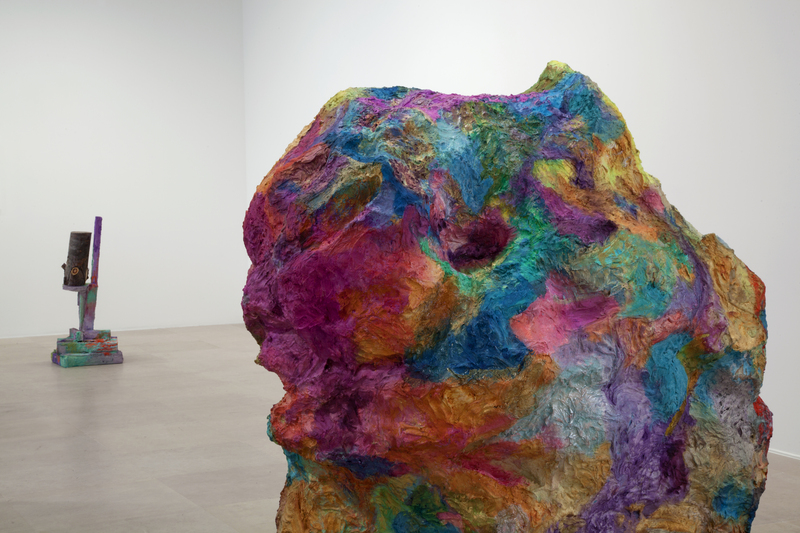 Through its fetishization of the base, the sculpture reaches downward to absorb the pedestal into itself and away from actual place; and through the representation of its own materials or the processes of its construction the sculpture depicts its own autonomy. According to Krauss, this led to a situation in which sculpture could only be defined in the combination of exclusions not-landscape and not-architecture. This space could only be explored for a limited time, and by the 1950s its potential had been largely exhausted. This led Krauss to argue that the sculpture of the 1960s and 70s consisted of an expanded field “generated by problematising the set of oppositions between which the modernist category of sculpture is suspended.” In Pop and Minimalist sculpture, Krauss saw a desire to defeat the idea of a centre towards which forms point or build, rejecting the ideal space that exists prior to experience and the psychological model in which a self exists replete with its meanings prior to contact with its world. This was achieved by pointing to the externality of meaning. Within the situation of postmodernism, practice is not defined in relation to a given medium…but rather in relation to the logical operations on a set of cultural terms … this is obviously a different approach to thinking about the history of form from that of the historicist criticism’s constructions of elaborate genealogical trees. It presupposes the acceptance of definitive rupture and the possibility of looking at historical process from the point of view of logical structure. 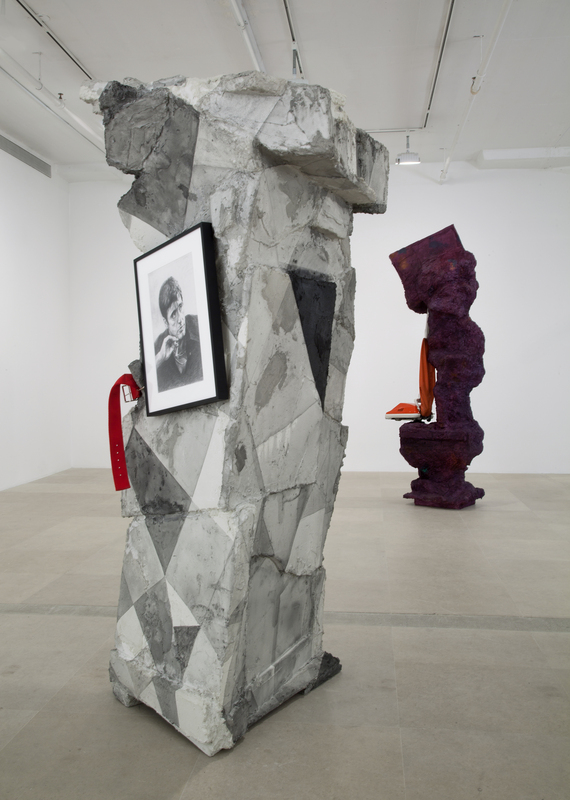 Rachel Harrison, Installation image from the exhibition The Help, Green Naftali Gallery, New York, 2012. 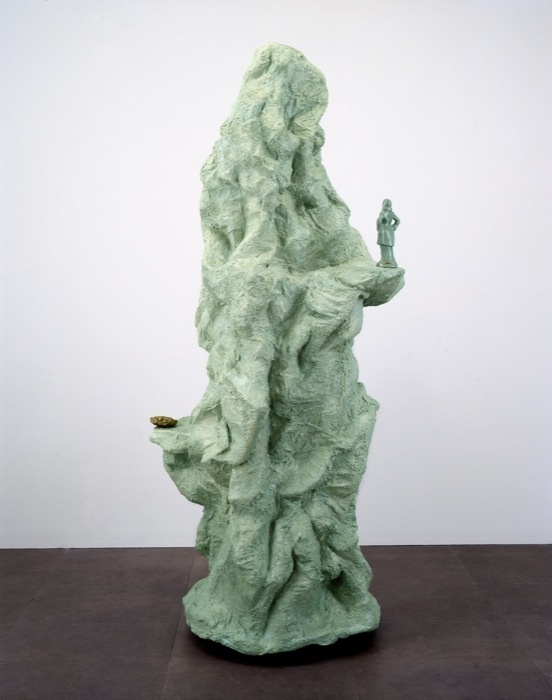 In his 2007 essay on Rachel Harrison, John Kelsey labels the artist’s work “Sculpture in an Abandoned Field.” Kelsey is not the only person to note the antagonistic relationship between Harrison’s sculpture and Krauss’ theorising. Situating Harrison amongst an emergent movement of “unmonumental” contemporary sculptors, Trevor Smith argues: “Though this work appears to be a retreat from Rosalind Krauss’s description of “Sculpture in the Expanded Field,” it might be seen more accurately as a strategic bulwark against that field’s potential collapse into culture-at-large.” For Smith, it is not simply that Harrison’s sculptures are “obdurately sculptural,” but that they re-examine pre-minimalist forms of address. 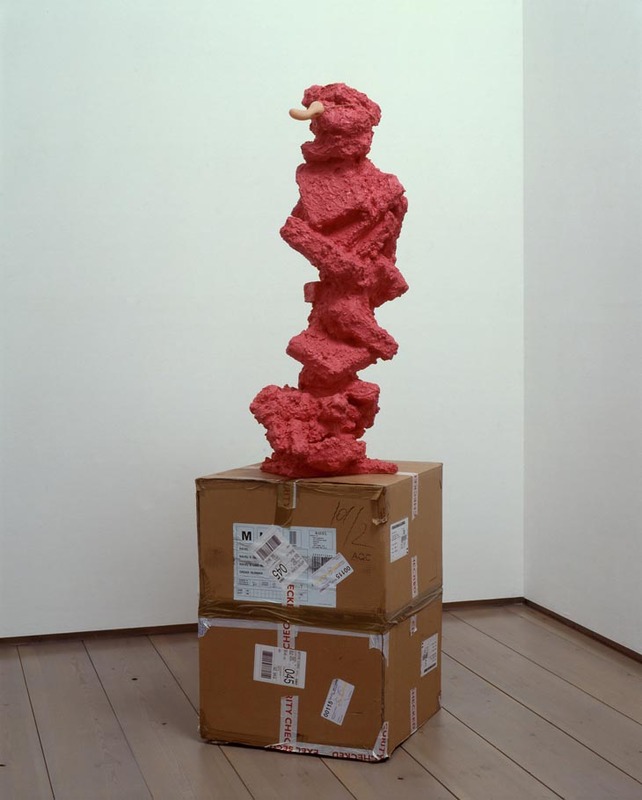 Even though Michael Fried’s landmark 1967 critique of literalism, “Art and Objecthood,” was concerned specifically with the phenomenon of Minimalist sculpture, his warning against the unexacting subject relations found in works that were primarily physical and durational, as opposed to optical and instantaneous remain critical to the discussion. In the beginning of the twenty-first century, an era of customization in which selections from an almost infinite array of choices are collaged together to create personal soundtracks, social groups, menus, histories and canons, the most interesting artists are the mixers, the mashers and sewers-together, the cobblers of irreproducible one-offs. 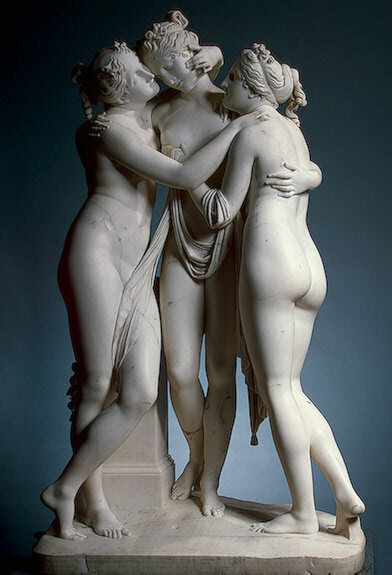 Within a single work, Harrison sets up a complex relationship between the created and the found – it is unclear which was devised for which, whether the specificity of a particular photograph or porcelain figurine completes a sculpture, or whether the sculpture was in fact initiated in response to the objects. This brings us back to the two-sided nature of Harrison’s Utopia (and the profound difficulties posed by the Art Institute’s display of Pablo Escobar). 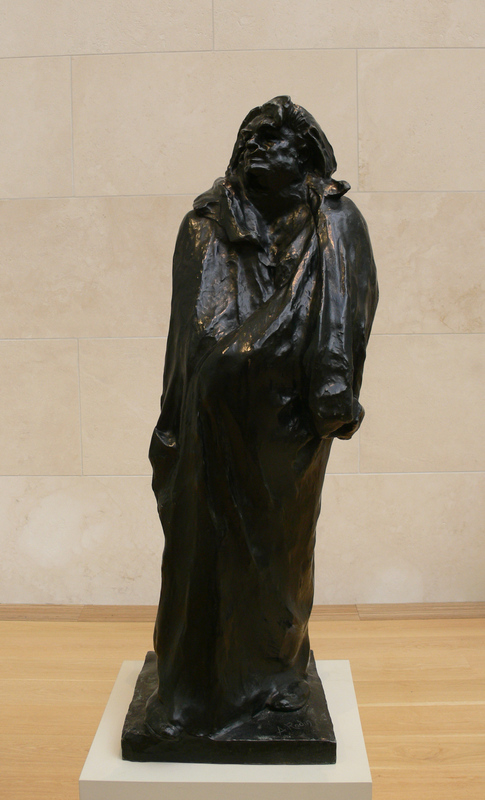 In presenting the rückenfigur in the round, Harrison seems to want to both re-inscribe the contemplative viewer while mocking the pretensions of the self-contained modernist artwork; to return meaning to the sculpted form, while keeping one eye firmly on the world outside. In doing so, Harrison does not seek to resolve this opposition, so much as reaffirm it as a space of play, undermining the critical force of both poles. 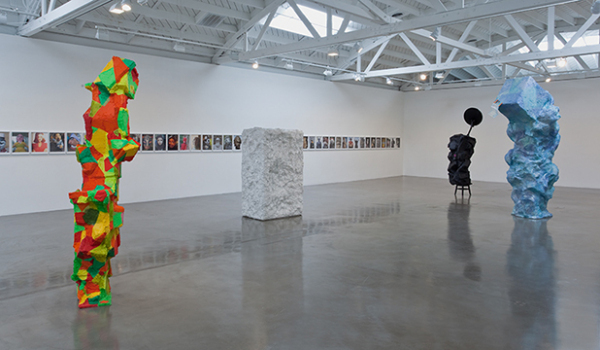 Rachel Harrison, from left: Pablo Escobar, Around the Water Cooler, Siren Serenade, Signature Roll, installation image, Regen Projects II, Los Angele, 2010. Stefano Basilico, “Rachel Harrison, Trick and Treat,” in Basilico, cur., Currents 30: Rachel Harrison exhib. cat. (Milwaukee: Milwaukee Art Museum, 2002), 22. Elizabeth Thomas, “Rachel Harrision” in Laura Hoptman, cur., 54th Carnegie International exhib. cat. (Pittsburgh: Carnegie Museum of Art, 2004, 158. Adolf Hildebrand, The Problem of Form in Painting and Sculpture, trans. Max Meyer and Robert Morris Ogden (New York: G.E. Stechert & Co, 1945), 17. Rosalind Krauss, Passages in Modern Sculpture (Cambridge, MA: MIT Press, 1977), 9-10. 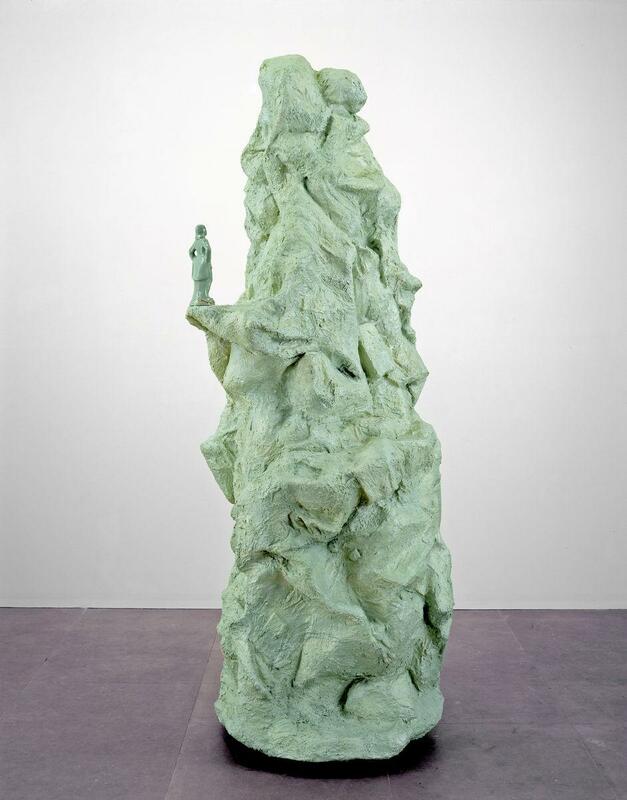 Rosalind Krauss, “Sculpture in the Expanded Field,” October 8 (Spring, 1979), 33. Kraus, Passages in Modern Sculpture, 27. Krauss, “Sculpture in the Expanded Field,” 34. Krauss, Passages in Modern Sculpture, Ch.7. Krauss, “Sculpture in the Expanded Field,” 44. Krauss, Passages in Modern Sculpture, 283. John Kelsey, “Sculpture in an Abandoned Field,” in Heike Munder, cur. Rachel Harrsion: If I Did It, exhib. cat. (Zürich: Kunsthalle Nürnberg, 2007), 120-125. 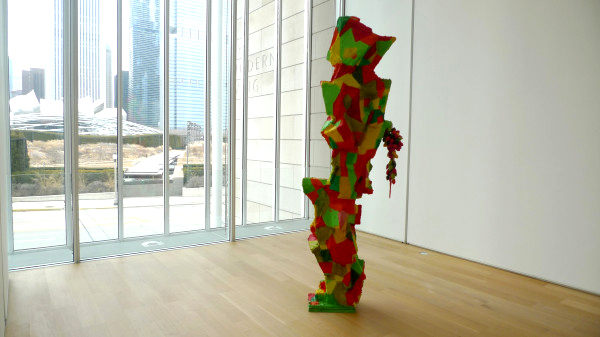 Trevor Smith, “Sculpture: A Minor Place,” in Laura Hoptman, cur., Unmonumental (New York: New Museum, 2007), 188. Kelsey, “Sculpture in an Abandoned Field,” 120. Kelsey, “Sculpture in the Abandoned Field,” 124. Ellen Siefermann, “Many Layered Objects: Notes on Rachel Harrison’s Strategies,” in in Heike Munder, cur. Rachel Harrsion: If I Did It, 118.